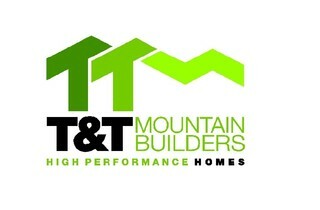 At T and T Mountain Builders our primary focus is building comfortable, healthy and durable homes. We employ passive house standards that include air tight construction, super insulated building envelopes,high performance European windows, and energy recovery ventilation. This all equates to an extremely high level of comfort for our clients. Our strategies are based on an understanding of building science, and of how each component relates to the whole system. We source only finishes that are low/no VOC, and are third party certified to ensure a healthy indoor air environment. We also excel at our water management strategies on the exterior, ensuring long term durability.